When buying a laptop, you want it to do everything you need, and last for years, too. That means, buying from a laptop brand you can trust. There are several key factors to consider, including your budget, what you actually want to use the laptop for, and of course the brand’s reputation. We take a look at some of the best laptop brands on the market and explain what they offer. If you’re after a laptop for business, you’ll find that your needs will be vastly different to one you might need at home, for example. Whereas one might reside mainly on your desk and have several peripherals attached to it at any time, the other might reside more in your bag, making the need for a better battery and light body all the more important. Do consider your needs when buying a laptop, and make sure that the one you pick is best suited to your tasks. Which are the Best Laptop Brands? Check the laptop section of any store, and you’ll see many brands vying for your dollar. Each makes similar claims – the fastest, the lightest, the most powerful. So, which deserves your buck? We’ve pulled out the ones below that we think you should be prioritising, and will offer years of excellent service. Acer – Offers some well-priced and compelling ChromeBooks, as well as standard models. Apple’s reputation in the hardware space for innovation and quality is well deserved, and its laptop line-up is no exception. Apple may not offer a huge range, and value for money is pretty relative, here, but the MacBook series is widely acknowledged as being one of the best laptop choices you can make. Walk into any coffee shop in the country, and you’ll find someone tapping away on an Apple laptop. The company’s ability to merge style and performance in its laptops has seen them become highly desirable to everyone from students to office workers. The MacBook style has been aped by pretty much every other laptop manufacturer out there, from ‘chiclet’ keyboards to super slim designs that slot neatly into the thinnest of bags. MacBook Air – The cheapest MacBook, and one that until recently had been slightly ignored by Apple. However, the MacBook Air was given an update in 2018, with a more powerful processor and Retina screen making it a real contender. MacBook – Treading on the Air’s toes, the 12-inch MacBook is even thinner and lighter, making it an ideal companion for coffee-shop typists. This is the most stylish MacBook around, though not ideal for heavier design tasks. MacBook Pro – The headline MacBook, the Pro seamlessly combines power and style, making it a must have for designers. There are a number of Pro models, ranging up to $2,500 models with a Touch Bar along the top of the keyboard. Dell has a long and rich history in computing, and it offers a good selection of laptops for every pocket. The XPS series is arguably a viable MacBook Windows alternative, but its Inspiron range offers laptops to those with smaller budgets but who don’t want to compromise on specs. Criticism of Dell’s line-up tends to be aimed at its Inspiron range. These are functional, if rather dull and uninspiring. The company does a great job of producing business laptops with its Latitude range – these will breeze through your spreadsheets and accounts, but won’t turn heads in the room. Of the laptop brands, some complain that Dell’s battery life struggles to compete with other brands. The exception is Dell’s XPS range. Super slim, with great screens and long batteries, these are among the best Windows laptops you can choose. Dell Inspiron 3000 – 7000 series – Dell’s standard consumer range. There’s nothing too fancy within this series, though it does include 2-in-1 models with touchscreens. These are dependable workhorse laptops, but nothing you’d show off about. Lenovo is a Chinese brand that shows no sign of slowing down. Its laptop business was accelerated significantly in 2005 when it purchased the personal computing arm of IBM, hence, why it sells the iconic ThinkPad range. Lenovo shows a degree of innovation in its products, such as the early implementation of the Yoga range, with its dual laptop/hybrid functionality. Despite the wide range of budget laptops that Lenovo has in its arsenal, it doesn’t feel like it compromises on build quality. While many entry level laptops are manufactured with cheaper plastics, making them susceptible to cracks and breakages, Lenovo products feel solid and are more likely to survive the odd knock. While it offers a good volume of budget models, Lenovo is also a huge player when it comes to more expensive models. The company accounts for 40% of sales for all laptops over $900, and has become a well established household name in recent years. Lenovo Thinkpad – Mainly aimed at business users, these are robust laptops with solid specs that should be perfect for day-to-day spreadsheet, document and web work. Lenovo IdeaPad – Lenovo’s ‘standard’ laptop range, starting with budget models, up to fully decked out laptops. If you’re keeping to a lower budget, these are dependable, but not especially fancy models to choose. A Taiwanese brand, Asus has shown some innovation in recent years, most notable its ScreenPad. This replaces the touchpad of the ZenBook with a screen, similar to Apple’s TouchBar. It’s also become known for its very competitively priced Chromebook range in recent years. Asus aren’t quite ready to topple the likes of Apple or Dell yet, with a market share of around 6%, but its moments of innovation make for some interesting and different laptops. There’s no denying that its wide range of models means that it caters for almost everyone. Asus ZenBook – Asus’ premium laptop range, slim, light and portable but still packing plenty of power. 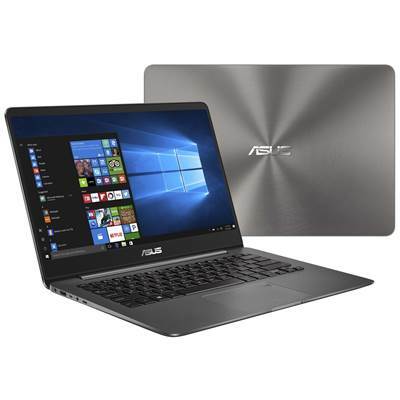 Asus VivoBook – Everyday laptops for aimed at users of all levels, available as entry-level models, or with the latest generation i7 processors. Asus Chromebook – A range of inexpensive Google Chrome OS-based laptops that are light and portable. They’re also seriously cheap, with models starting from under $250. Acer, a Chinese company of over forty years, offers a compelling line-up of laptops that are competitively priced. Its Aspire range covers plenty of great budget laptops. Like Asus, it has created a range of low cost Chromebooks which have proven to be popular low-cost alternatives to full Windows laptops. Acer’s marketshare is similar to Asus, with around 6.4% worldwide. It’s not afraid to innovate and explore new designs for its laptop range, fulling embracing the 2-in-1 laptop market. Acer also has a reputation for its design, whether it’s the future-styled look of its gaming laptops, to the ultra-thin design of the Swift 7, it’s a company that puts a lot of stock in the look and presentation of its laptops. Acer Aspire – Acer’s everyday range of laptops, these are robust machines designed for use rather than style. Acer Spin – A range of laptops with a rotating touchscreen that can be twisted around be set up in a number of ways. HP is a stalwart of personal computing. The huge range of laptops HP offers means that there’s an HP for everyone out there. That said, trying to work out which one to go for can be daunting. Its Spectre models are brilliantly crafted and designed, offering a true high-end product, so they’re a good place to start. HP is a huge brand, with an incredible 21.7% market share. It was riding high, undisputed, until Lenovo managed to topple it in the last decade. Competition between the two is fierce, and they are head and shoulders above the third place, Dell, in terms of total worldwide sales. As well as producing great computers, HP has a good reputation online for its after sales service. This could prove tempting for anyone who is looking for a new laptop. HP Spectre – HP’s premium laptop, designed to be fast and powerful and with a price tag that reflects this. HP Envy – Lacks some of the more desirable features and ports of the Spectre range, but still a competent laptop series. HP Pavilion – Chunkier, less portable laptops that are more designed for casual users and families. Perhaps not that well known for hardware, Microsoft’s Surface Laptop is a premium model that aims to satisfy users after a high end experience. Although Microsoft’s Surface tablets are compatible with a keyboard, the Surface Laptop is its only true laptop offering. Despite its limited offering, Microsoft has managed to crack into the top five PC manufacturers in the US, squeezing out Acer. It holds 4.1% of the marketshare domestically. Internationally, it’s a slightly different story, and it’ll be hard to for Microsoft to replicate its homegrown success on a global scale, especially as it doesn’t offer any entry-level or mid-range models. 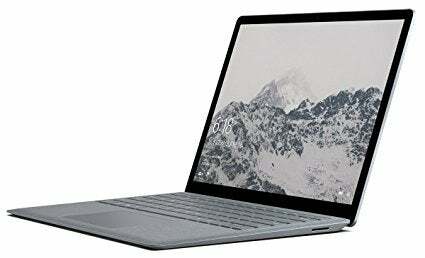 Surface Laptop – A high end laptop with plenty of power, pitched as a MacBook killer. This is a seriously slim and stylish laptop, and one of the best Windows models you can buy. Surface / Surface Pro Tablets – Not quite an iPad-style tablet, but not quite a laptop, either. These hybrid models run Windows 10, but to get the best out of them, you really need to purchase the additional keyboard cover. Samsung is hardly what you would call a big player in the laptop space. The tech giant has scaled back its operations in consumer computing considerably, focusing instead on other areas such as its smartphone and TV offerings. In fact, it has completely withdrawn from the laptop market in some territories, halting the sale of these devices back in 2014 due to ‘market demands’ (that is to say, the Europeans simply weren’t buying Samsung laptops). However, it has retained a presence in the US, and its Notebook range offers a good selection of laptops for all budgets. Its Flash model is particularly attractive for those looking for an entry-level device. Samsung Notebook – Samsung’s ‘classic’ laptop line up, includes models with rotating screens as well as stylus compatible displays. Samsung Notebook Flash – Samsung’s entry-level laptops, kitted out with low end Pentium processors and limited flash storage. Samsung Odyssey – Samsung’s gaming series of laptops, stuffed with high end tech including ultra fast processors and graphics cards. Unlike other gaming laptops, they lack any sense of quirky design. Google may not instantly spring to mind when you’re thinking of laptop brands, and there’s a good reason for that – they’ve only got one. Its PixelBook somewhat flipped the script on the meaning of a Chromebook, taking a traditionally low powered, budget device, and turning it into a high end, premium product. A bold move perhaps, but one that has worked for Google, with the PixelBook gaining rave reviews. It also produces the Pixel Slate, which is technically a tablet, but can be a decent laptop alternative if purchased with the dedicated keyboard. Google may not have the marketshare in the laptop world that HP, Dell or Lenovo can boast, but it certainly has the technical expertise and funding to throw behind its hardware business, meaning it could be one to watch in the future. Despite its long history, Toshiba’s last few years have been somewhat turbulent. Just last year, it sold 80% of its PC business to Sharp, and retains just 20%. Struggling to compete in the global market, Toshiba halted sales of its consumers laptops in Europe and the US in 2016, and now focuses purely on business laptops. The laptops themselves are functional and fulfil their purpose, but lack the interesting design and more original features of their competitors. A laptop needn’t cost you a huge chunk of cash, and the competition between brands means great prices for the consumer. Despite this, don’t be tempted by brands you don’t recognise, as these are likely to offer poor after-sales support and could let you down. Stick with the brands mentioned on this page and you’ll be set. In terms of value, most brands offer entry-level laptops, but we think that Acer and Asus offer the best low-cost models with their Aspire and VivoBook ranges. The cheaper laptops won’t be powerhouses, but will get the bulk of daily tasks done. Another option is a Chromebook. These are notably cheaper than a traditional Windows laptop, though they function a little differently. Think of them as the Chrome web browser, with a keyboard! They’re great for web browsing, emailing, and streaming video. They may not be as flexible and offer the range of abilities of a Windows machine, but the average web user and social media fanatic won’t mind, and the Google office suite offers everything that Microsoft Office does, and is fully compatible with those programs. If your budget is under $300, then your options are limited. At this price, you’ll mainly be looking at Chromebooks. Pick one of these up and you could even have change to spare, although be aware that it won’t offer the full range of features that you’d expect from a Windows or Apple laptop. For those looking to browser the web, stream video and send emails, a Chromebook will more than do the job. Check out the Chromebooks offered by Asus and Acer for a good option. $500 won’t net you the laptop of your dreams, but it will get you a decent starter. You should be aiming for an i3 Intel processor at this price, which will prove powerful enough for the casual user and should be future-proof for a few years. Consider something from the Acer Aspire or Lenovo ThinkPad ranges. Not head-turners by any means, but they will get the job done. With a budget of $750, you’ll be able to grab a laptop that will serve you well and be able to complete most of the tasks you throw at it. Serious gaming and heavy duty video editing will be out, but it’ll cope with anything else. Aim for an i5 processor from the 8th generation of chips, and go for a model with a solid state drive so that it’s speedy to boot and start programs. At this price range you can bag yourself a great laptop for work or pleasure. Consider something from the Acer Swift or Spin ranges, or a Lenovo Yoga if you find the the idea of a laptop/tablet hybrid appealing. If you have a budget of $1,000 and up, people will tell you to get a MacBook, and honestly, they’re not wrong. The Air, Apple’s entry level laptop, starts at $849, and is an excellent all-rounder that can still pack a punch despite not being the top-end Apple model. If you’re looking for something that can run more demanding software, such as an graphics intense programs, consider the MacBook Pro instead. 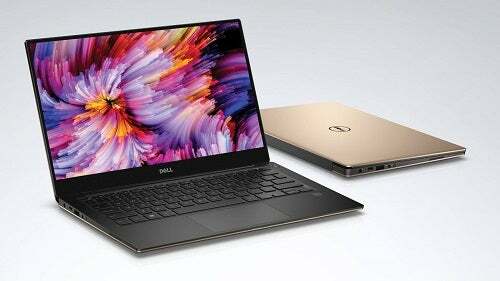 If you’re after a Windows machine, Dell’s XPS range is an excellent alternative to the MacBook, and can be purchased with a dedicated graphics card at the high end. The Microsoft Surface laptop is another serious contender, and one of the best Windows laptops you can buy if you’re spending over $1,000.